Stuck with your math coursework? The subject confuses you a lot? Find it difficult to score well in your math work? Well not anymore. 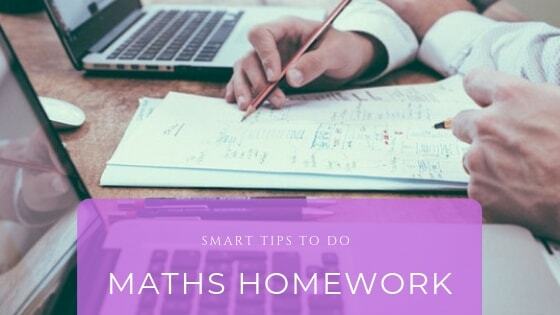 The math homework help providers have a perfect solution to “How can I do my math coursework perfectly?” questions. All you need to do is add some interesting elements that not only make your document impressive but also explain your problem solving method well. These could be simple figures or graphs. Your professor may have assigned you a question where graph is not specifically mentioned but if you can plot it then there is no harm. The math coursework experts associated with us ensure to deliver documents that are not only well written but also have a perfect blend of extra elements that make your work stand out in the crowd. Just, check these easy elements that can be a part of your next math problem solving method and can help you earn high grades. Statistic is an important part of the subject. Our experts suggest it is not only statistic but a lot more branches that need these graphs to be a part of the problem solving process. There are three different types of graphs that can form a part of your math coursework (We will be discussing it in the next blog). When you plot a graph be very careful and make sure it reflects the solution too. Also, document all your problem solving steps with reference to graph clearly. When plotting a graph, it is important that you mark all the indices properly. Also make sure to mark your scales clearly. Mark the points of intersection and the solutions too in a comprehensive manner to ensure there is not much confusion when your professor refers to the graph. Pie charts are another important element that are used in the documents to enhance their quality and comparison. Make sure when you work on these you have a step wise solution to the complete problem. With clear indications about the divisions and calculations make sure your pie chart is comprehensive in nature. When making a pie chart make sure not to use more than 5 divisions. It makes your pie chart clumsy. Always start from 12 in the clock with the largest slice and move ahead in clock wise direction. Pie charts are not meant for comparisons. Avoid using these, if you have to make comparisons, it is better to go for bar graphs or line graphs as suitable. Who isn’t scared of geometry? Be it the calculations involved or the constructions, the subject has been really tough for a reason or other. When working on constructions it is important to get your work done neatly. Your professor would always ask you to document the steps of construction along with the values and the calculations that lead to results. When you start your constructions task, make sure you have all the basic supplies with you. Each time you use a ruler, make sure that you view it from the top to ensure there are no errors. One more thing that is to be considered while doing constructions is to make sure you do not use a eraser many times as it makes the work untidy. When working on questions like, Pythagoras, trigonometry, and 3D geometry we need to have figures. The experts associated with us ensure to deliver math coursework documents that have figures and diagrams that make it easy for your to understand the question and it also adds value to the solution. The figures of your math coursework must be well drawn with the measurements mentioned clearly. The figures are rough hand drawings and thus do not require to be in accordance with exact values, but it needs to have perfect ratio to make it look neat. Each time you draw a figure related to your question make sure you have clearly mentioned the question number near it to and a few steps of calculation that lead to final solution. Woah...These Are Really Easy!!! When you decide to work on your math coursework make sure you utilize any of these elements if possible. It is suggested to make your problem solving process easy and comprehensive by adding these elements that help in better understanding. Still troubled and can’t figure out how to complete your math coursework? No worries, just a click and we are here to deliver you top-notch documents that can earn your desired grades and lots of praises from your professors.